Guimarães, R.L, Kaiser, R, Hofmann, A, Cesar Garcia, P.S, & Bulterman, D.C.A. (2010). 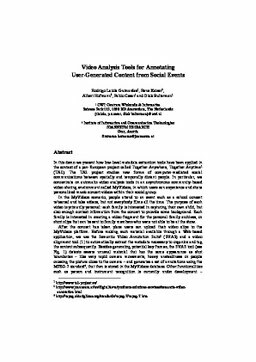 Video Analysis Tools for Annotating User-Generated Content from Social Events.